From living in a tent in a Syrian refugee camp to working as radish farmers and surviving on $1 a day in Guatemala, Chris Temple is an award-winning humanitarian, activist, and filmmaker. Alongside Zach Ingrasci, his co-founder of Living on One, Chris has received widespread acclaim as a bold storyteller and compassionate leader of social justice — honored with the 2016 Muslim Public Affairs Council Annual Media Award, and recognized alongside Bill Gates and Angelina Jolie as two of the top 100 visionary leaders of 2015 by YPO’s Real Leaders Magazine. He has been called upon to share his expertise at TEDx, the United Nations, and the World Humanitarian Summit, and has been featured on CBS This Morning, as well as in major publications including The New York Times, Wall Street Journal, The Atlantic and Variety. 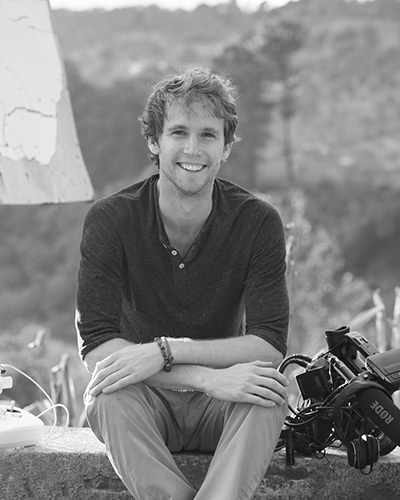 Chris began his journey in college, when he produced, directed, and starred in his first film, Living on One Dollar. The film was #1 on iTunes for documentaries, featured on the homepage banner of Netflix, and called “A Must Watch” by Nobel Laureate Muhammad Yunus. His second feature documentary, Salam Neighbor, provides an intimate look into the lives of Syrian refugees, through his and Zach’s lens as the first filmmakers ever given a tent and registered inside of a refugee camp. Among its accolades, the film has been endorsed by Queen Rania of Jordan and was accepted into the 2016 American Film Showcase by the U.S. State Department. Both films have been globally distributed by Netflix and Amazon. Equal parts filmmaker and humanitarian, Chris has been on the front lines fighting for human rights, and have raised over a million dollars to directly empower disenfranchised communities through microfinance, education, and refugee resettlement.